The 2000 Plymouth Breeze is a 4-door, 5-seat Sedan, available in 1 , the Base. Upon introduction, the $16,080 Base is equipped with a standard 2.0L, 4-cylinder, engine that achieves 26-mpg in the city and 37-mpg on the highway. a Manual transmission is standard. Chrysler Corporation launched Plymouth as the name of a budget car in 1928, and for the majority of the brand’s existence it served as the most affordable of Chrysler’s models. There were exceptions, of course. During the muscle car years, the Plymouth Barracuda wasn’t necessarily a cheaper Dodge Challenger, and the unique Plymouth Prowler that was still in production when the brand was cancelled was a retro-style hot-rod not shared with any of Chrysler’s other divisions. 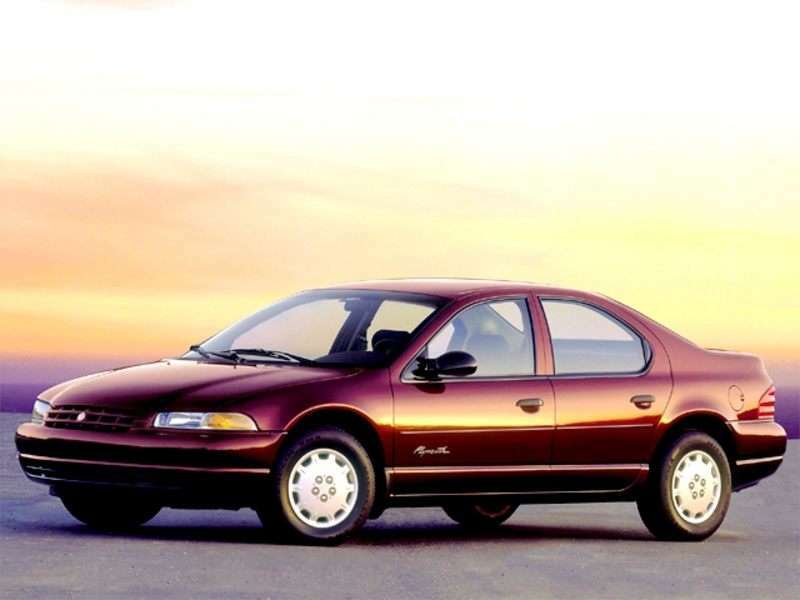 Nevertheless, by the time Plymouth was dropped after the 2001 model year, its sparse lineup of models was barely distinguishable from the Dodges on which they were based. In fact, as can be seen in Autobytel’s collection of Plymouth pictures, the Neon compact car shared its styling and its name with the Dodge Neon. The two models were essentially identical. Why bother, then? At the time, Chrysler’s dealership network typically sold Dodge as an exclusive, or Chrysler paired with Plymouth. The Plymouth brand, as might be deduced by our galleries of Plymouth photos, gave these dealers vehicles with cheaper price tags to sell when buyers couldn’t swing a Chrysler. Additionally, as a way to inject some excitement into the languishing brand, Plymouth had been given the Prowler retro-roadster, which provided these dealers with showroom traffic and opportunities to sell the other models seen in our collection of Plymouth images: the Neon, the Grand Voyager minivan, and the Breeze family sedan. After Daimler-Benz merged with Chrysler Corporation in 1998, however, new executive management rightly looked at the Plymouth strategy and determined there was little point in continuing the brand. The Prowler halo car was sold through 2002 as a Chrysler, and then dropped from the lineup.